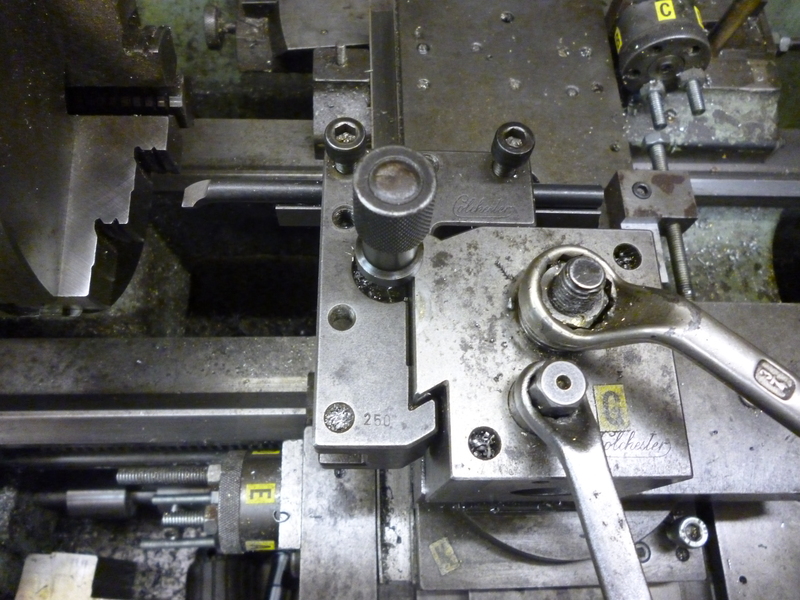 A quick change toolholding system is one where there is a special toolpost that is permanently fixed to the top slide. 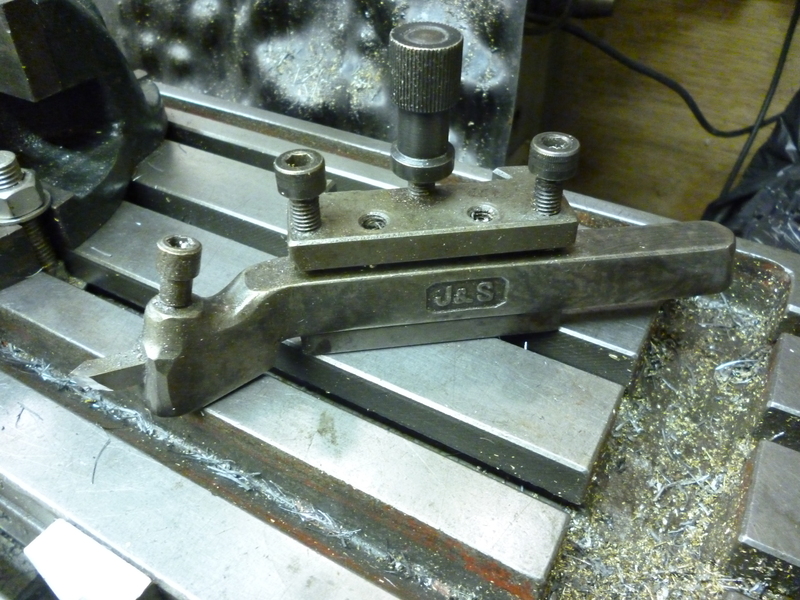 Then there is a set of special toolholders that can be clamped to this toolpost. 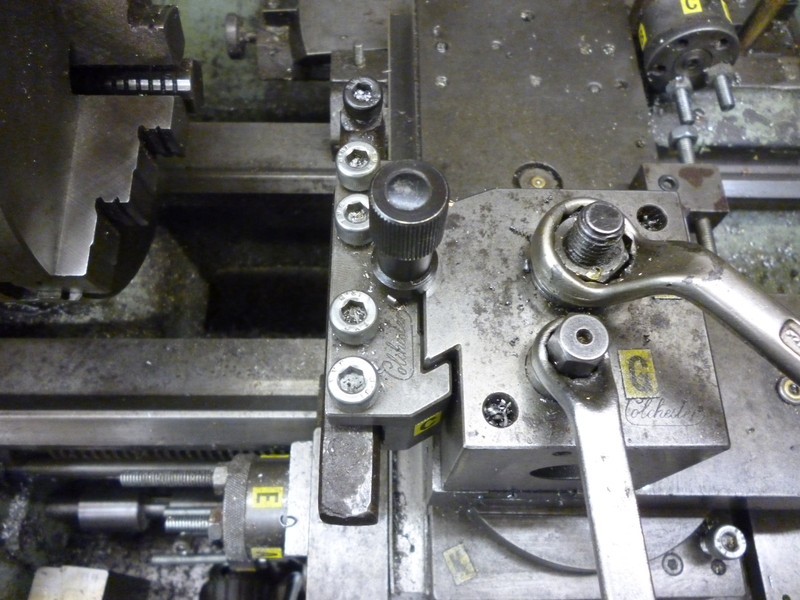 A key feature of this is that the toolholder can be changed very quickly and that when it is changed the position of the cutting edge is always at exactly the same position and at exactly the same height. Anyone who has ever used a quick change toolholder will never want to go back to anything else. It has the added advantage that because of this the user is less likely to compromise the job by trying to avoid changing tools. There are two main parts. There is the toolpost. This is bolted to the topslide. Then there are one or more toolholders. Most quick change toolposts hold the toolholder by means of some sort of dovetail. The one shown above is the type used on the Colchester Bantam before Colchester started using the Dickson type. It has a very simple dovetail. In this case,the toolholder is held tight by means of a edge of the dovetail moving out to fit tightly in the female part of the dovetail on the toolholder. 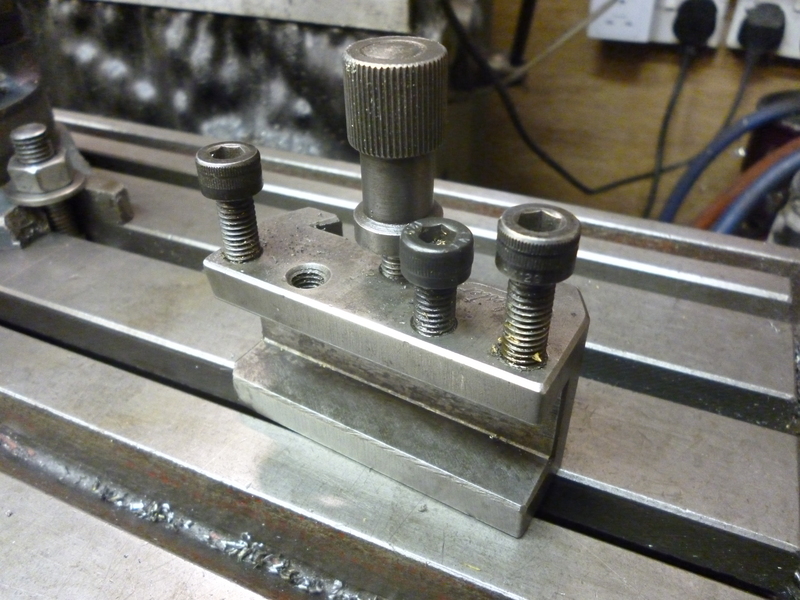 The problem with this design is that, in practice, most turning tools are needed at right angles to the bed of the lathe. .
Of course the toolpost can be turned round but in doing so the position of the toolpost when turned back will be different from what it was before. The way round this is a toolholder as shown in the next photo. The problem with this is that it is not very rigid in the direction along the line of the boring bar. The way this toolpost works means it is not possible to have a dovetail on two surfaces. 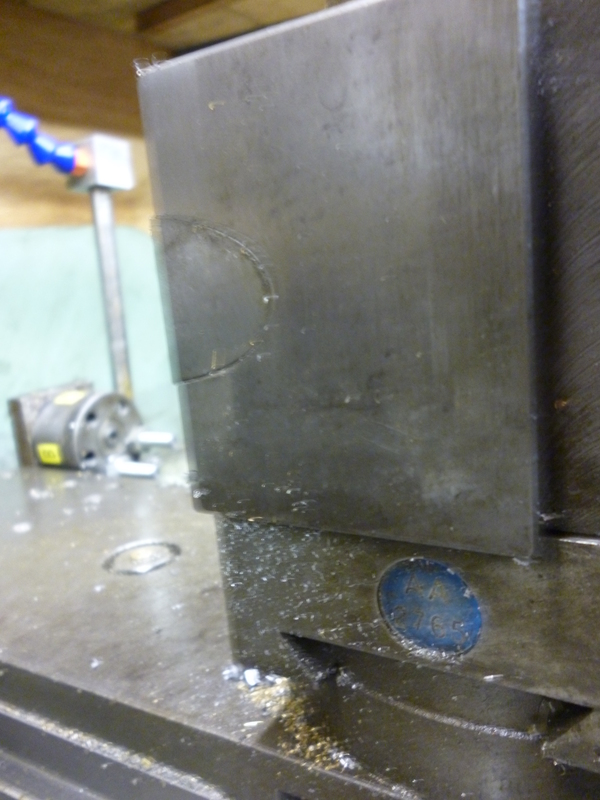 This can be done because the toolholder is held fast on the toolpost by a round piston that is operated by a cam. There is a separate cam for each of the two positions a toolholder can be in. It makes sense to grind the cutting edges of cutters assuming that all toolholders are always fitted onto the toolpost in a standard position. This has to be so it is square on the topslide. If the toolpost is fitted so it is nominally square this error is not usually important. 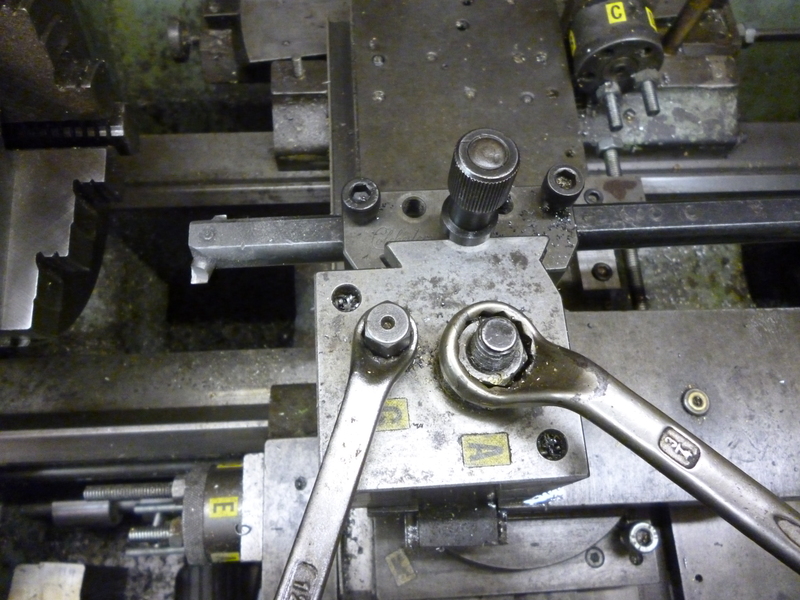 What is important is that each time a toolholder is fitted that it is in the same position. Adjustment of the height of the cutting edge. All quick change toolpost use toolholders that have some mechanism to control the height of the cutting edge. It is essential that there is some way of locking this adjustment. In the example above, the Colchester, the locking mechanism is a spring the is fitted in a slot in the screw holding the adjuster. If the cutting edge is sharpened then the position of the cutting point will probably change in all three axes, x, y and z. 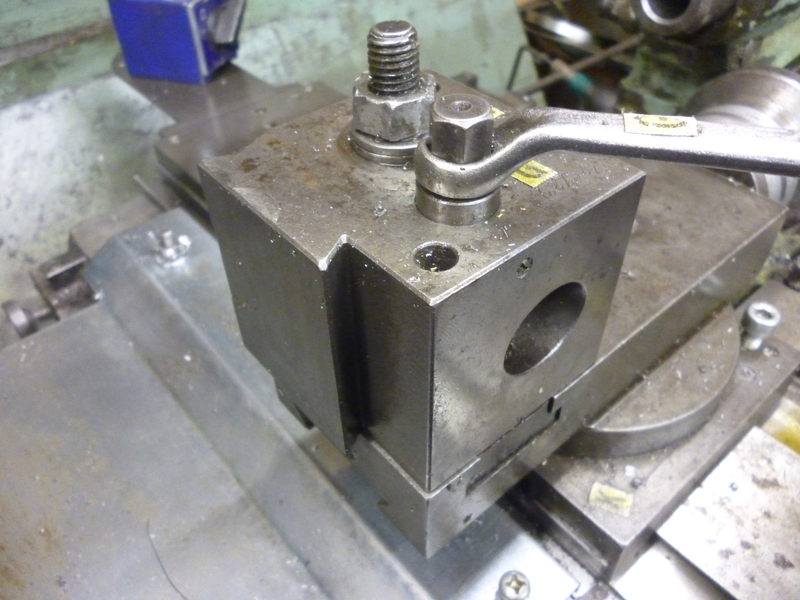 It will be noticed that the toolholder has a slot that could hold a piece of square HSS. The problem with this is that the slot is quite large. Large pieces of HSS are expensive. But worse than this, the cutting edge is usually quite small, too grind a small cutting edge from a large piece of HSS is hard work. A more practical arrangement is for the first toolholder to hold a second toolholder. 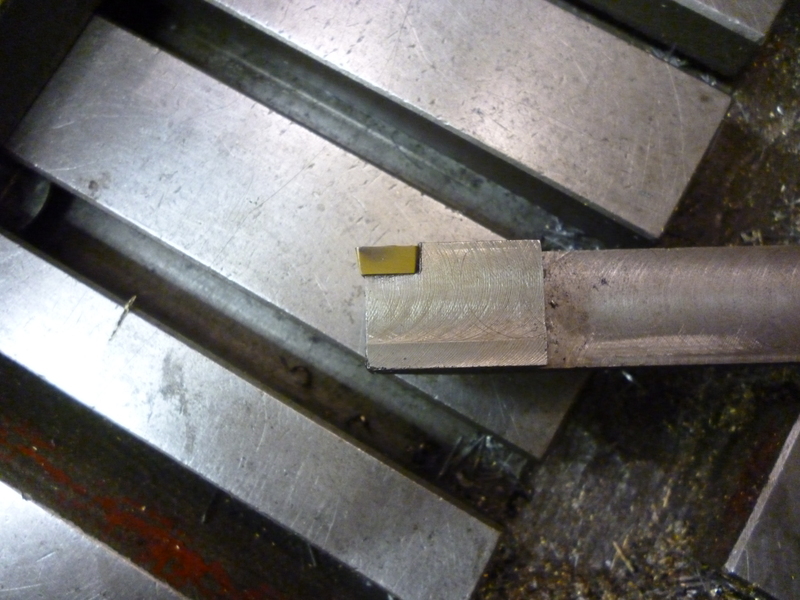 The second toolholder then holds a smaller piece of HSS. fig toolholder designed to take a carbide insert. Most toolholders designed to take carbide tips are designed for use in industry on very large machines. In this case the insert is usually held so it is pointing downwards towards the workpiece, ie, the cutter has negative rake. 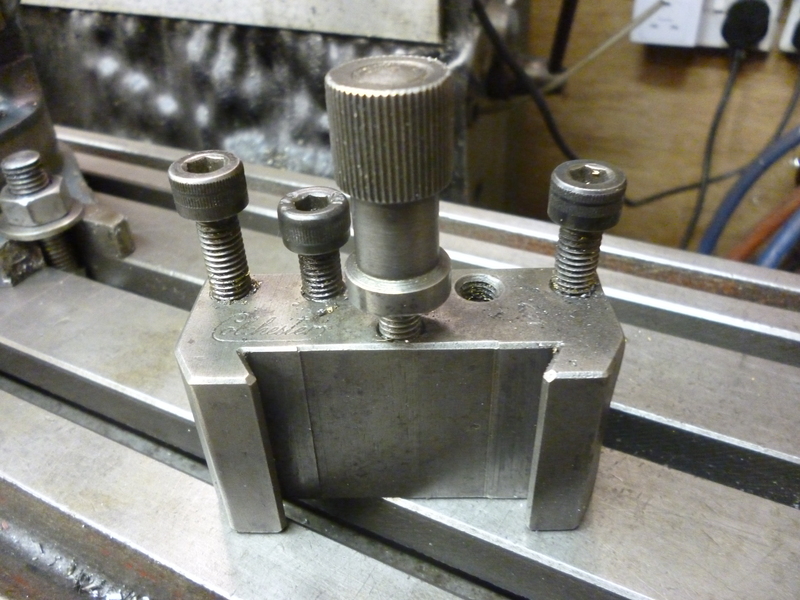 This is not usually very useful on small lathes. 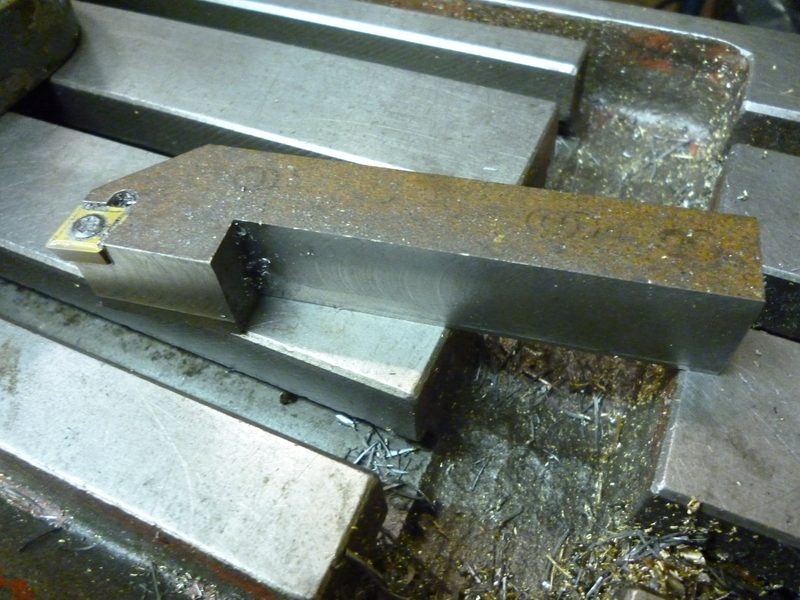 It is quite easy to make cutter holders which will give the insert zero rake or even positive rake. I have this toolpost but unfortunately no tool holders. Any chance of you posting some measurements of yours so I can make my own.